We are located at the Amsterdam School of Communication Research (ASCoR), an institute within the University of Amsterdam. Our research is financially supported by the European Research Council. We aim to answer three questions. 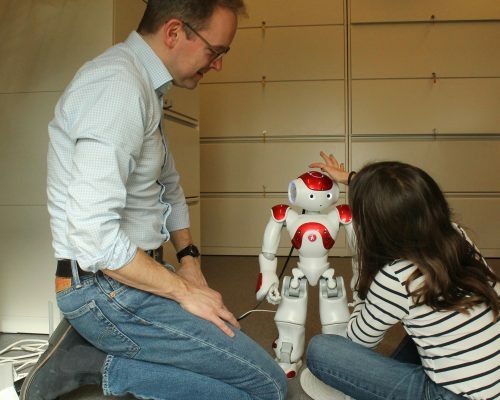 First, which factors play a role in children’s (long-term) robot acceptance? Second, how do social relationships between children and robots emerge, and which factors influence the development of closeness and trust? 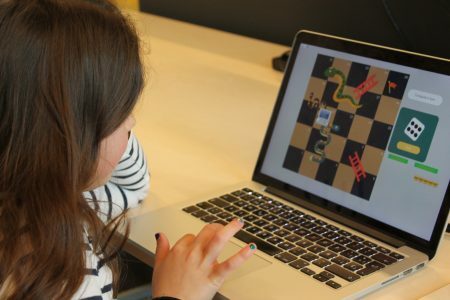 And third, which social skills can children learn from a social robot? To answer these questions, we conduct all kinds of studies at primary schools, day cares, and in people’s homes. When a school decides to participate in our research, parents/caretakers can always decide whether their child will partake in our study or not. When we conduct in-home research, parents/caretakers give us their permission to do so, but our focus within the family will be on the interaction between the child and the robot. Have you become curious about our findings so far? Please take a look at our publications. If you want to know more about the researchers within the CHILDROBOT project, have a look at our team page. Are you a parent, caretaker, principal, or teacher and do you consider to let your child or school participate in our research? In this case, you will be able to find more information via parents and schools.